Some children in India cannot afford to buy toys. A cheap way for them to have fun is to make kites (patungs). All they need is some tissue paper, a few branches, and a roll of string. Kites are very popular in India. 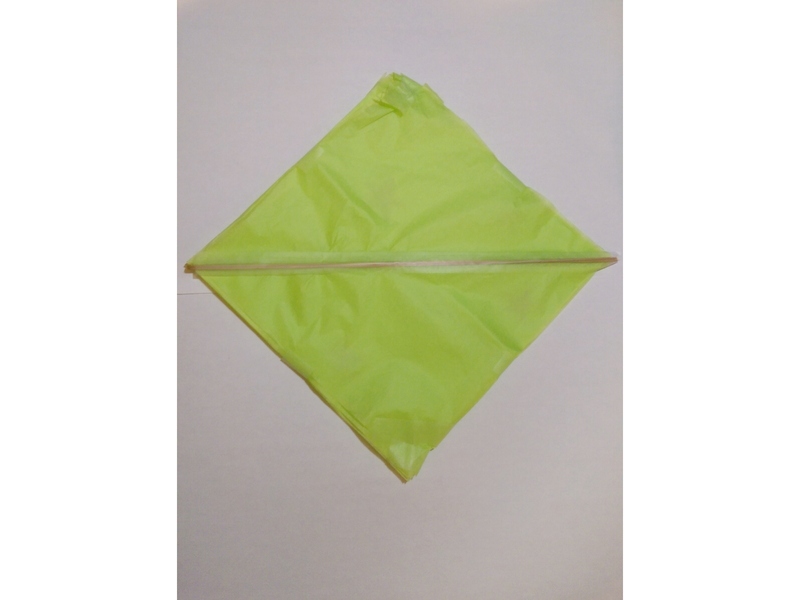 Many Indian families celebrate the festival of kites (Basant) in the start of spring. 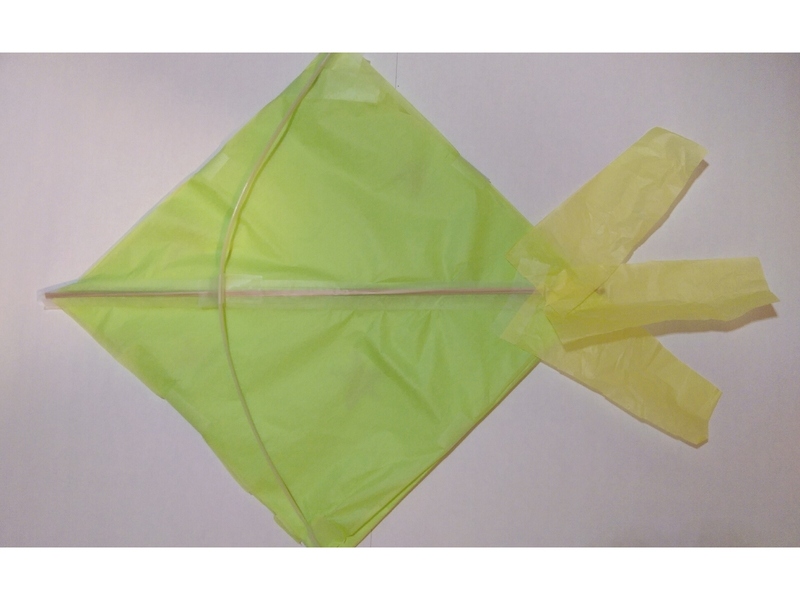 Kites can be homemade or bought from shops. They are sold in many colours, shapes, and sizes. 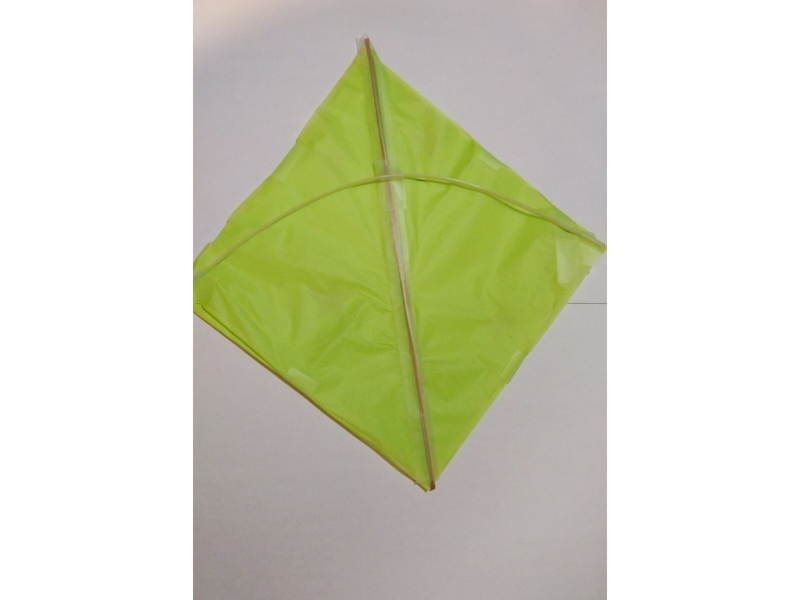 Children also have ‘kite fights’ where they try and cut down other kites in the sky. 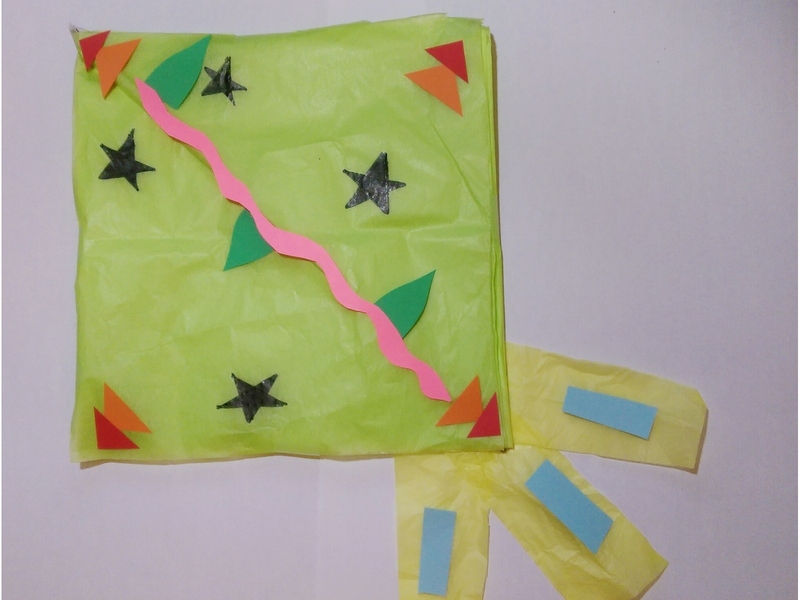 Below are steps on how you can make your own kite! 4. 2 pieces of bamboo wood or flexible plastic. 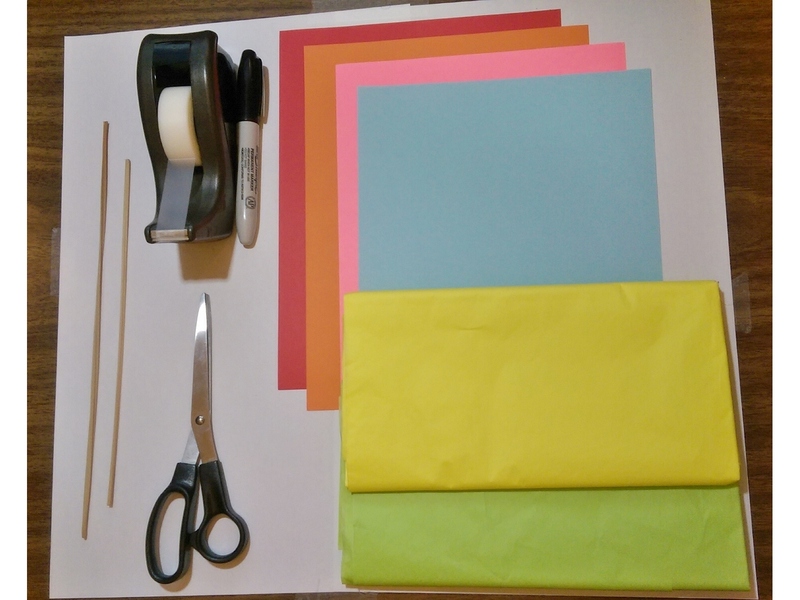 Before starting, tape (or glue) a few sheets of tissue paper together. 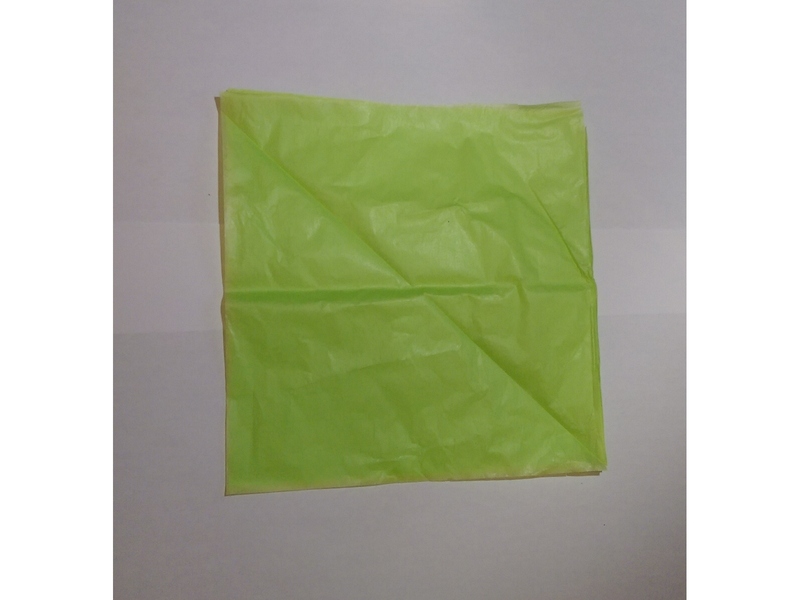 Then cut out a square from this tissue paper. You will need two short pieces of wood. One piece should be as long as the square. The second piece should be a bit longer than the square. 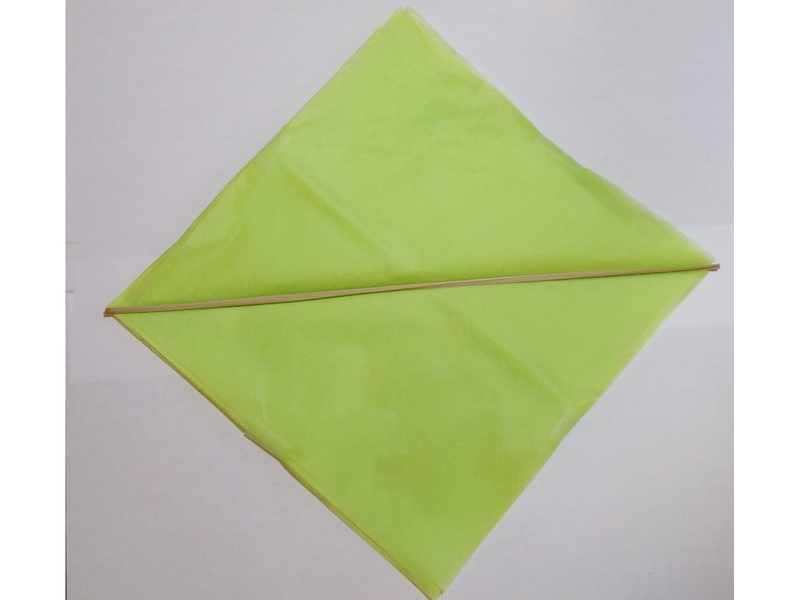 Important: The longer piece of wood should bend when you tape it to the two corners of the kite.